Turn off the TV, put the smartphones away and settle down next to the fire with a good old-fashioned board game. In a world where families are spending less and less time communicating with each other, we take a closer look at the world of board games; a brilliant way to bring the family together again. With Christmas just around the corner, families all across the UK will be coming together for some much needed family time and with that comes children who will need occupying. I grew up in a family of 6 in the 1990’s, and with 4 children my parents had their work cut out. Our ages spanned 10 years so finding activities that occupied us all on our annual trips to the Yorkshire Dales, long Christmas breaks or even just a rainy afternoon in Nottingham, was always a battle. Well, it would have been a battle had it not been for board games! Board games come in all shapes and sizes from a compact word puzzle like Boggle to the expansive, acrobatic Twister. Some are simple classics like Snakes and Ladders, whilst others take significantly more brain power such as Chess. The beauty of board games is that they are cheap, travel well and can be played almost anywhere (apart from Twister which could be quite difficult in the back of a car). The other brilliant thing about board games is that in most cases, the whole family can join in. Yes, many require 2 players but quite a few can be played by at least 6 people, which was perfect for my family. Like any family activity, arguments can occur but actually solving these arguments often helped with other areas of growing up and taught us to be more considerate and how to get along with each other. Quoridor is a household favourite. A Mensa Mind Game winner in 1997, it’s definitely my favourite game at the moment and one that is surprisingly strategic for its simple rules. 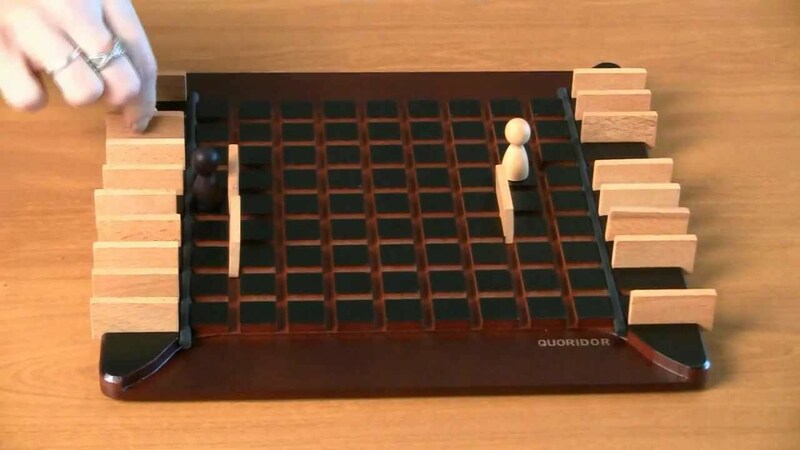 The object of the game is to advance your pawn to the opposite end of the board. On your turn you may either move your pawn or place a wall. You may hinder your opponent with wall placement, but not completely block them off. Meanwhile, they are trying to do the same to you. The first pawn to reach the opposite side wins. It becomes a game of attack versus defence. It’s best played with 2 players but can also be great fun with 4. This has been a new addition to the family collection but it’s been an instant hit. 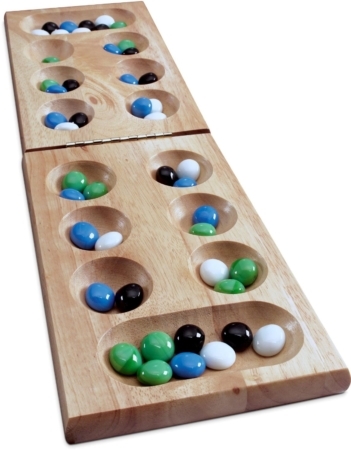 Another strategy game, the aim is to capture all or some of the opponent’s stones, beans, etc. Versions of the game have been played for hundreds of years around the world. It’s a simple game with very few rules and most games last only 5-10 minutes so a little best of 5 series is always good fun. 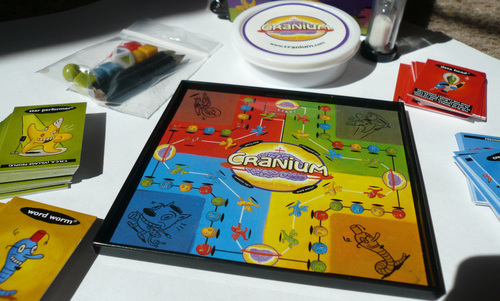 Cranium, billed as “The Game for Your Whole Brain”, is an action packed game with four games rolled into one including a few classics like Pictionary and Charades. The aim of the game is to get your counter around the board first with the option of taking a fast or slow route depending on how well your team does at each task. The game can be played with up to four teams and each team can contain as many players as you like; the more the merrier. The beauty of Cranium is that there is something for everyone whether you are a budding thespian, a keen wordsmith, a general knowledge expert or a dab hand at drawing, you will be able to show off your skills. It’s one for all the family and never fails to provide lots of fun and laughter. The Play-Doh construction round is particularly great! This has always been one of my favourites and always delivers in excitement as you race to find out “Who did it?”. This murder mystery game can be played by up to 6 people and its aim is to determine who murdered the game’s victim, where the crime took place, and which weapon was used. 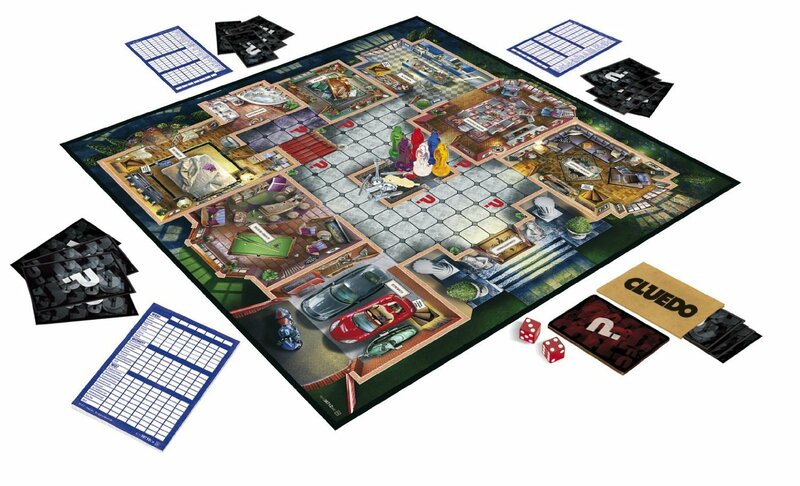 Each player assumes the role of one of the six suspects and attempts to deduce the correct answer by strategically moving around a game board representing the rooms of a mansion and collecting clues about the circumstances of the murder from the other players. The key to this game is to pay close attention to each player’s attempts and subsequently canceling out options based on what they are asking. If you are clever you can begin to fool the others into thinking you are onto the killer by bluffing and this really adds another dimension to the game. Cluedo is definitely a game for the whole family and could be a great choice for a lazy Christmas afternoon. 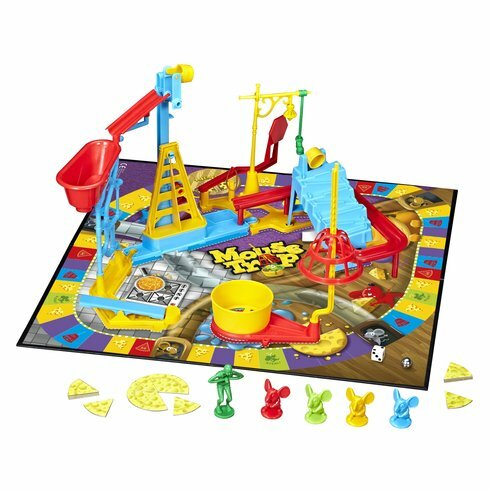 Mousetrap is a crazy, zany game where you try to catch your opponents’ mice in elaborate traps whilst you go around the board collecting cheese and stealing from others. Mousetrap was, in fact, one of the first mass produced 3D board games and it’s this 3D element that gives it a unique look like no other game. The actual putting together of the game is a task in itself and an excellent lesson in construction for children. Once everything is set there is great anticipation around the table as everyone waits to see whether a trap malfunctions or is successful. The last mouse alive is the winner. Mousetrap can be played with 2-4 people.